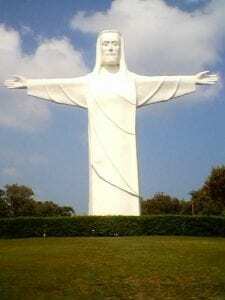 Happy Birthday to the largest statue of Jesus in the United States! Many of you have enjoyed the Passion Play here in Eureka Springs which is where the statue is located on Magnetic Mountain. You can view it from many spots all around town, and then walk to the base of the statue to get a great photo of it. There is also a scenic overlook at the location to view the downtown and mountains surrounding us. Our statue is 67 feet high with an arm span of 65 feet. Below is a great article about our statue, and the others throughout the world. 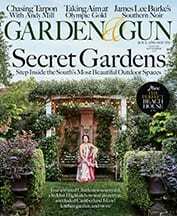 We were recently interviewed for the Garden & Gun magazine. We weren’t familiar with it, but it is a beautiful magazine published in South Carolina. Think Southern Living, but something for the entire family. The article is on Northwest Arkansas, where to eat, what to do, and of course where to stay. 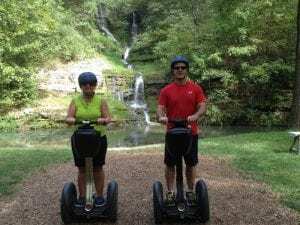 Segments include Bentonville, Eureka Springs and Fayetteville. Jay Jennings is the author and now happy to say, customer. The August/September issue is on stands now, pick up and copy and see for yourself. 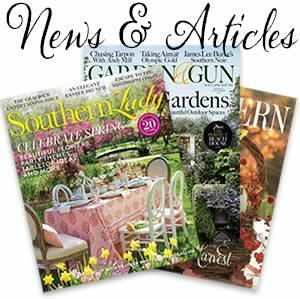 Great recipes, gardening, hunting, fishing, and us! Follow the link below to see the whole article. It’s an awesome article with some great ideas of what do to and see while you’re in our area. There are so many activities to partake this time of year in our beautiful Ozark Mountains. We want you to experience it for yourself! Float our two nearby rivers. The Kings River depends on the amount of rainfall we’ve had, but plenty of sand bars to pull up on and swim in the warm water. The White River always has plenty of water, it’s a bit cold, but a very scenic 4 mile float. There are outfitters that rent you a canoe. 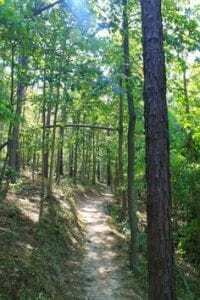 Hike or mountain bike our city park, Lake Leatherwood. You can also swim or rent paddle boats here. Just 4 miles from the Heartstone Inn. There is the man-made dam that you walk over. Spectacular views. 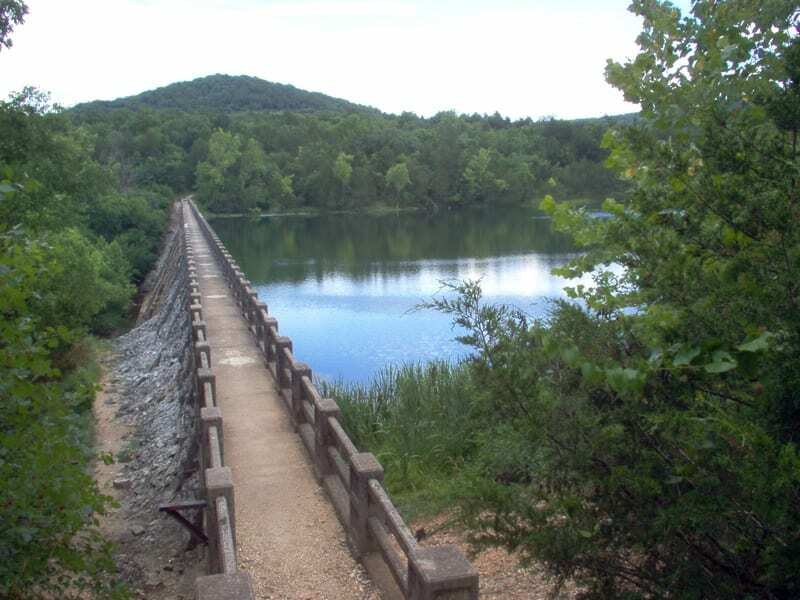 Beaver Lake is a short drive from the Inn with warm, clear water. It offers swimming beaches, pontoon or Tarzan boat rentals at Starkey Marina, stand up paddle boarding (SUP) instruction and rental, or even scuba diving! There are several great guides if you’d like to fish the lake or nearby White River too. There are two state parks within 20-25 minutes of the Inn. We’ve hiked in both parks and have thoroughly enjoyed them. 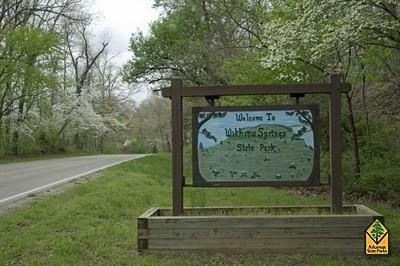 Withrow Springs has a swimming pool, hiking and fishing on the War Eagle Creek. Hobbs State Park is near War Eagle Mill. It has a new visitors center with many trails to hike, bike or even horseback ride, and a shooting range. 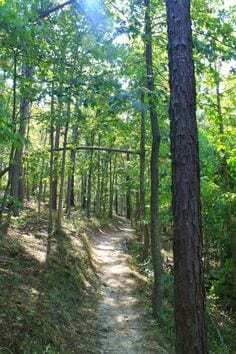 Dogwood Canyon Nature Park is located 25 minutes north of us on the way to Branson. They have many choices of activities and a new grist mill. You may remember that Rick and I took a segway tour here. Loads of fun. May is Festival of the Arts all month long! One of a kind art exhibits in galleries, restaurants, the banks, anywhere that has a wall! Gallery strolls too. Quilting, Crocheting, Painting and Drawing classes. Awesome street party – the White Street Walk – complete with a flash mob dance party. Artrageous Parade – we’re known for our parades, fun and funky for sure. 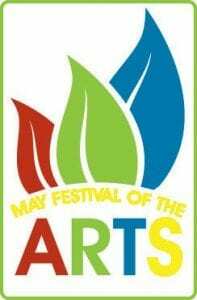 For a full list of activities, please visit their calendar at May Festival of the Arts. The Lovely County Citizen, our local newspaper, shared our new award in this week’s newspaper. Samantha came and interviewed us last weekend. Rick and Cheri Rojek’s dedication to Heartstone Inn has clearly paid off. 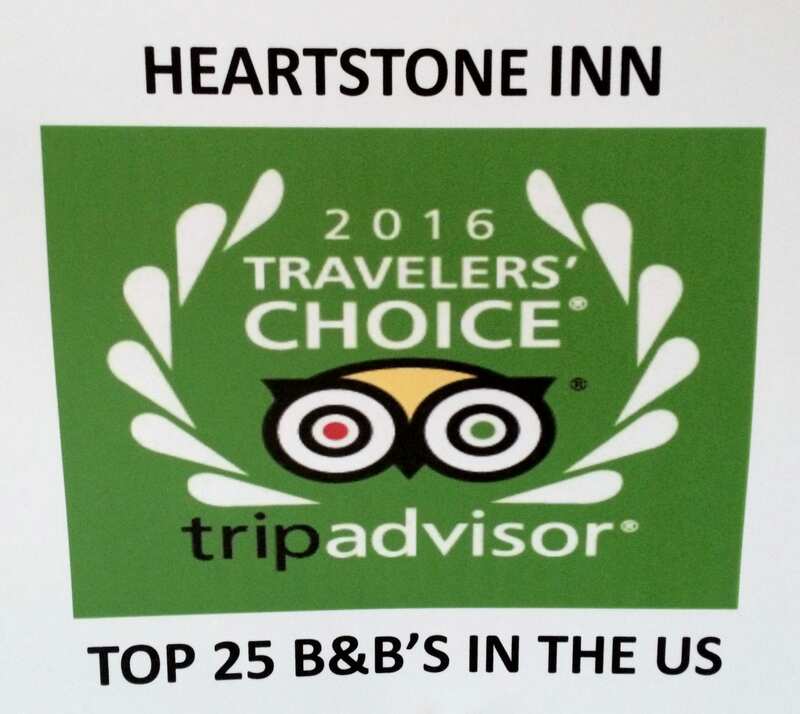 Recently, the inn won a 2016 TripAdvisor Travelers’ Choice award. 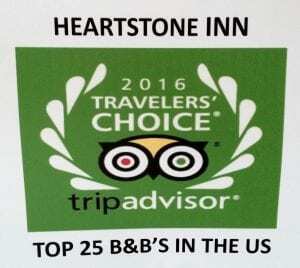 The only property in Arkansas to win the award, the inn ranked 23 out of 25 in the bed and breakfast category. Rick and Cheri Rojek, who have owned the inn since 1999, credited the achievement to the customers. The customers, Cheri Rojek said, are what makes working in tourism so rewarding. Rick Rojek recalled working in the hotel industry for years before purchasing the inn, saying his experience in corporate tourism helped prepare him to own a bed and breakfast. Having worked on a larger scale, Rick Rojek said, he has much more appreciation for the personal relationships he creates through Heartstone Inn. “It’s much more personalized for sure. 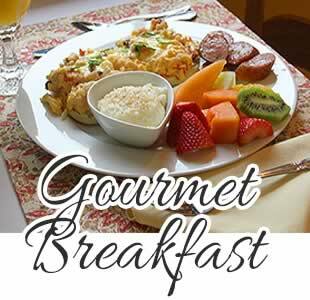 We can truly take care of each and every guest and really figure out what their likes are,” Rick Rojek said. An example of that, Cheri Rojek explained, is getting to know what type of beverages customers prefer. “You try to remember what they drink. Somebody drank iced tea today. I’ll make sure I have iced tea for her tomorrow,” Cheri Rojek said. 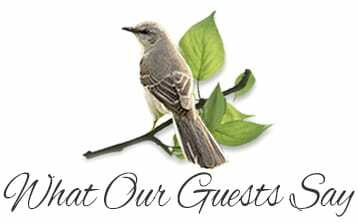 Getting to know the customers, Rick Rojek continued, makes them want to return to to the inn. Cheri Rojek recalled one couple that married at the inn 16 years ago, saying the couple returns every year to celebrate. “It’s become a tradition for them to come back here, which is cool. It’s really special to be part of their lives,” Rick Rojek said. Cheri Rojek pointed out that the customer reviews are the reason the inn won the award. This, Rick Rojek said, makes the award even more worthwhile. “It’s such an honor. It inspires me to be better, honestly,” Rick Rojek said. Moving forward, the couple said they hope the inn continues to bring more people to Eureka Springs.